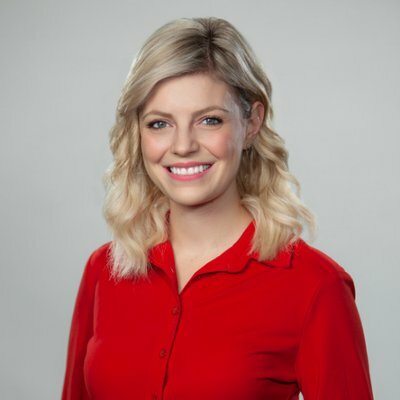 Ceilidh Millar, CHEK’s weekend weather anchor, weekday community reporter and host of CHEK Around is leaving CHEK TV for a position with GLOBAL News Regina. The announcement was made at the end of CHEK’s Sunday newscast. A popular local media personality, Ceilidh volunteered at many charity and community events around Vancouver Island as an emcee, host, spokesperson and guest speaker. She will be missed in the community and by CHEK viewers. Thank you to all of the amazing people at @CHEK_News who have made the last 2.5 years unforgettable! And to the people of Vancouver Island, it’s been an absolute honour getting to know you all and sharing your stories. Met her once while being interviewed by her. Down to earth and very discipline. Wish her best of luck up there in a northern beautiful Canadian city. At least she is staying in Canada! Ceilidh was the main reason we watched CHEK instead of CTV News Vancouver Island. The good broadcasters are “poached” by other news stations and eventually end up in larger network markets like Toronto or the States. I’m sure she’ll go far in the industry. Wishing her much continued success! Sorry to see her leave Victoria. She is good and we knew it was just a matter of time before she got picked-up by the larger news networks. Onwards and upwards! Ceilidh hosted the show, CHEK Àround and was à great host. She reminded us of the former host of CHEK Around, Michaela Pereira, who became an anchor for CNN New York and eventually hosted her own national show. Ceilidh has the talent to move to the U.S. market too. Canada just doesn’t have the opportunities that there is in the States.